By on 29/01/2010 in Centre News Items – What’s happening at Healthways? 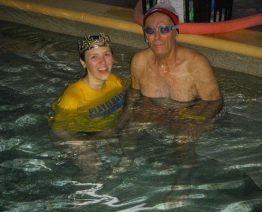 At 85 years old Dave Russo decided he should learn how to swim properly. This man is an inspiration to anyone who feels they’re too old.